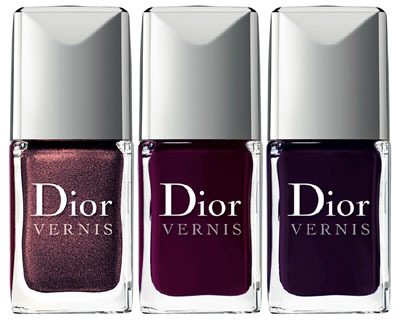 After the success of the mini-collections of gray and red nail polish, Dior launches the purple trio called Les Vernis Violets Hypnotiques. It might be interesting to know that Christian Dior used to call purple “the king of shades” and considered it to be demanding and impressive. Perhaps that is why Dior makeup artists could not fail to use the purple color. The makeup collections presented by the brand often rely on this luxurious shade. 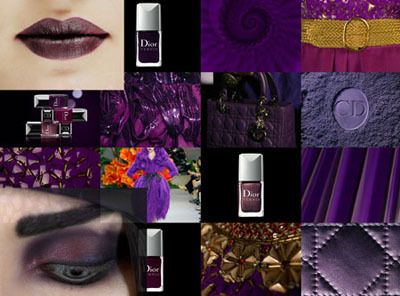 Critics believe that it is the richness of the purple color that may help to recognize Dior products among many others. And now purple is in the center of the nail trend of 2012. Three shades of purple were included in the Les Vernis Violets Hypnotiques trio. They justify the name of the collection as something really fascinating and hypnotic. A wonderful color! And why should it be considered the shade of spinsters? 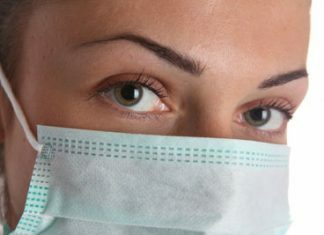 This is the color of stylish and elegant women.